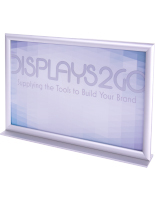 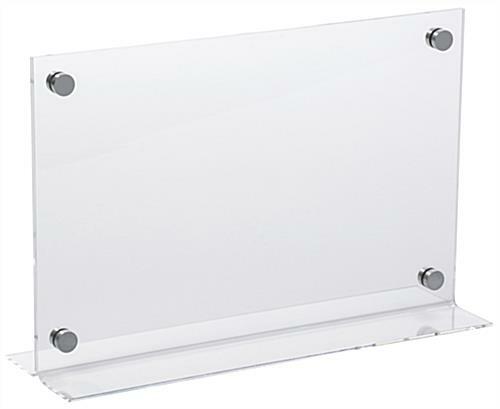 This tabletop sign holder supports 11 x 17 graphics and secures it with four silver standoffs. 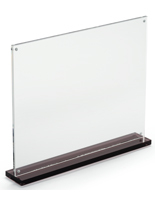 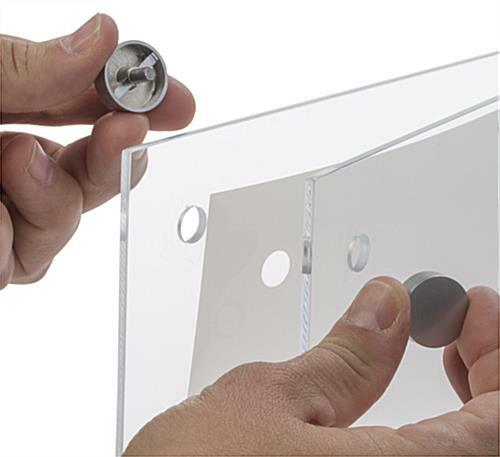 The clear acrylic puts all the emphasis on your messaging, whether you're announcing menu items, speakers, or promotions! 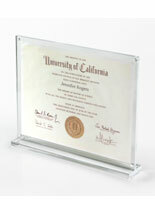 This T-style frame is durable so you can expect to use it for years. 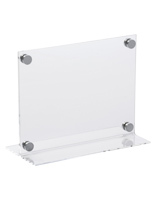 Buy this sign holder in bulk to enjoy even more sales on an already low price. 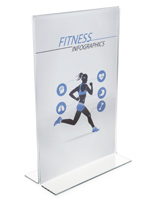 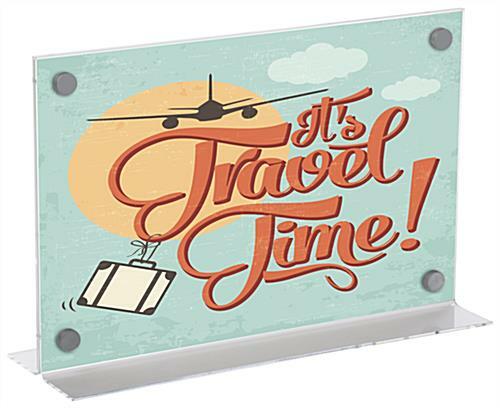 Great for a table or countertop, this signage is great for all manner of business needs and events. 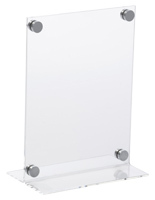 This holder is situated in horizontal orientation. 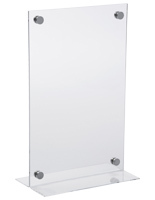 17.0" x 16.0" x 5.0"
17.0" x 0.25" x 5.0"